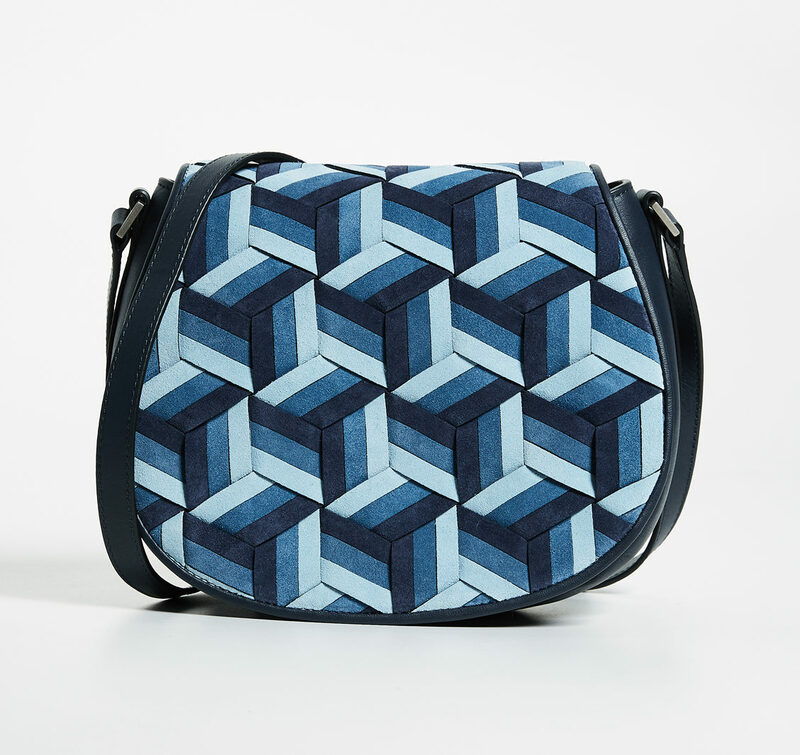 There is something very cool girl about saddle bags. And not cool girl in the Gone Girl way, but cool as in somebody you just see on the street or at a party and think: I want to be that chick. They’re just so classic and effortless, and frequently big enough to carry a decent portion of your life around with you. The less hardware the better on saddle bags, as far as I’m concerned. But I do like the D-ring on this otherwise quite clean bag from Little Liffner. 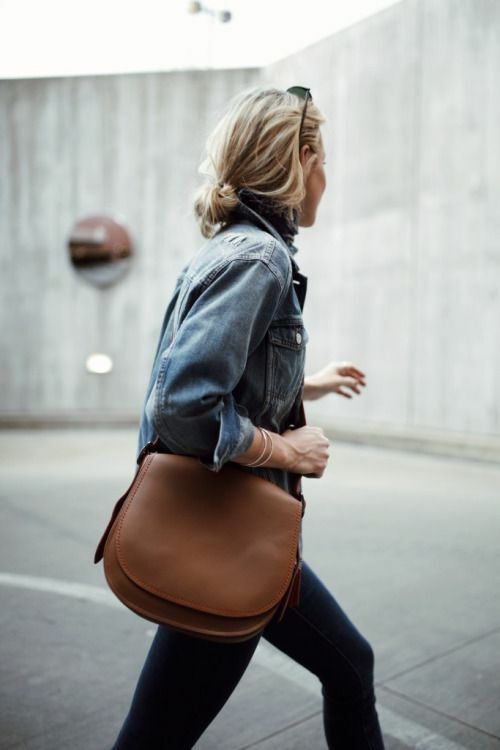 I like the idea of a canvas bag, and this one is kind of preppy chic with the leather strap and details. The simple gold bar on this choice from Cuyana sets it apart. 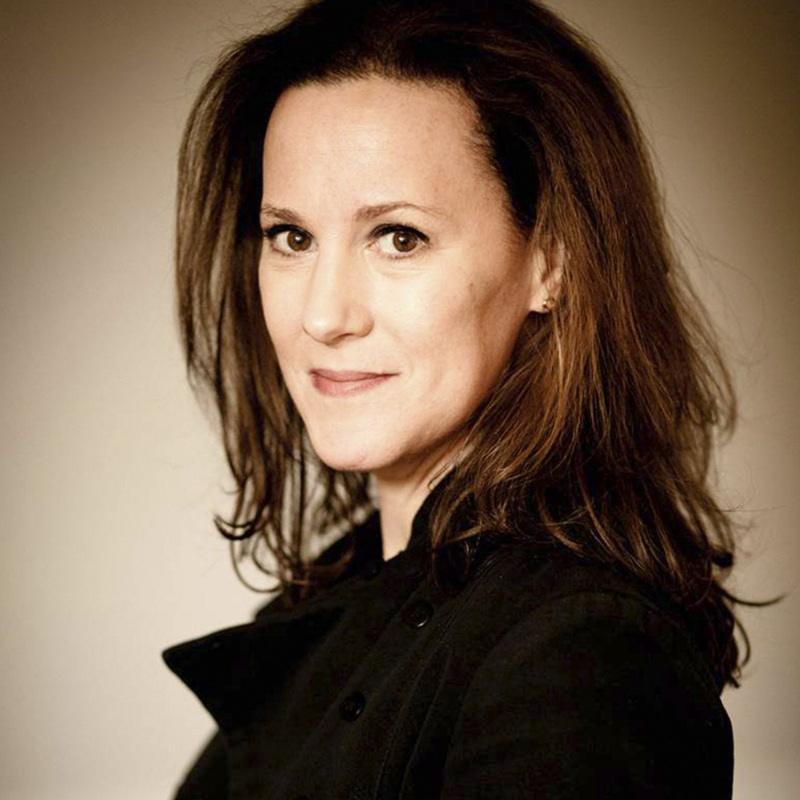 And I really like this one from Longchamp; it’s got good lines. From Clare V: The braided strap is unexpected here. I know this is on the crazy side and maybe not for everyday, but I do think it’s fun. A bit of a departure from the traditional shape, but I like that it’s red. 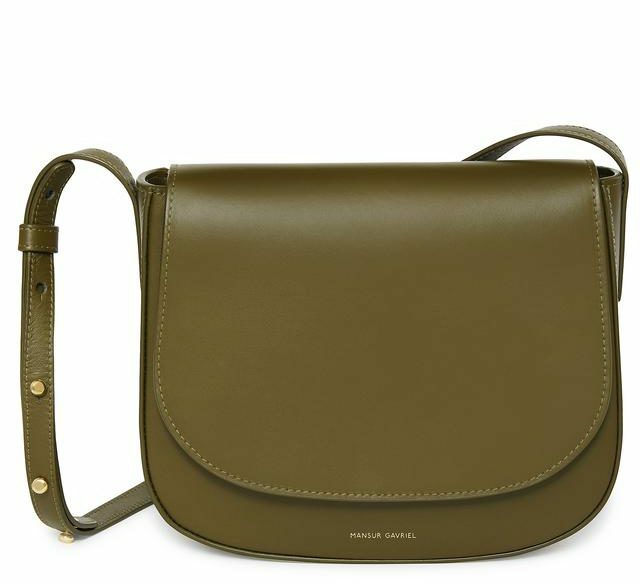 And this one from Mansur Gavriel comes in a ton of colors, but I adore the army green and think it would be quite versatile. 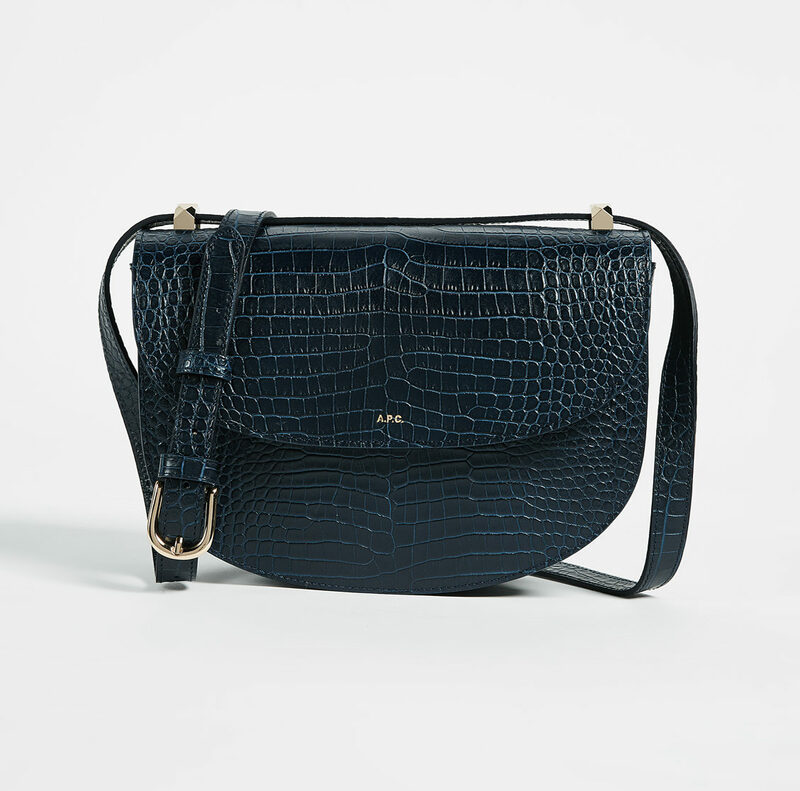 I like the faux crocodile effect on this one from A.P.C..
And I’m quite intrigued by this one from LL Bean. 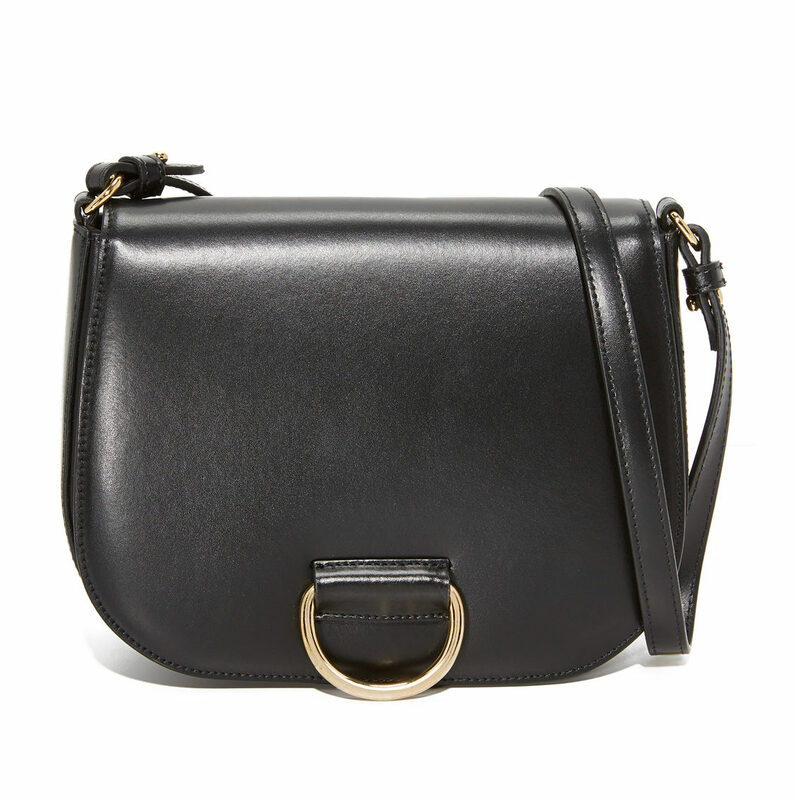 And finally: Coach makes a good choice if you’re looking for something super-unadorned. Here is a post on great bags for everyday. But dammit, I would need a smaller wallet AND a smaller lipstick bag, and I wouldn’t be able to carry both pair of glasses (reading and sun) and the other little bags that hold my essential tools and headaches meds, and then…well, the phone is also now bigger. Love them but they wouldn’t hold the stuff I lug I around. I love saddle bags. That first picture is perfection... But dammit, I would need a smaller wallet AND a smaller lipstick bag, and I wouldn't be able to carry both pair of glasses (reading and sun) and the other little bags that hold my essential tools and headaches meds, and then...well, the phone is also now bigger. Love them but they wouldn't hold the stuff I lug I around. I have a vintage orange Coach saddle bag that I found in a thrift store. It’s the best $6 I’ve ever spent. I love that bag so much and orange somehow goes with everything. I have a vintage orange Coach saddle bag that I found in a thrift store. It's the best $6 I've ever spent. I love that bag so much and orange somehow goes with everything. 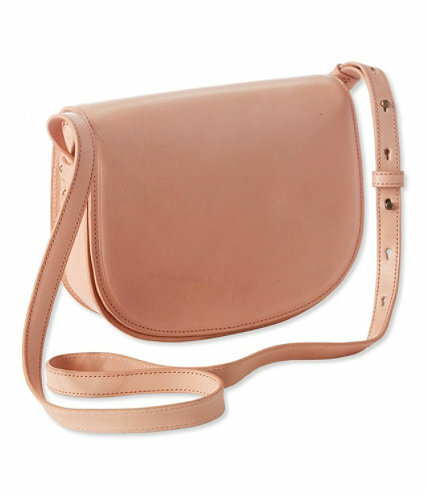 I adore a saddle bag for all the same reasons. 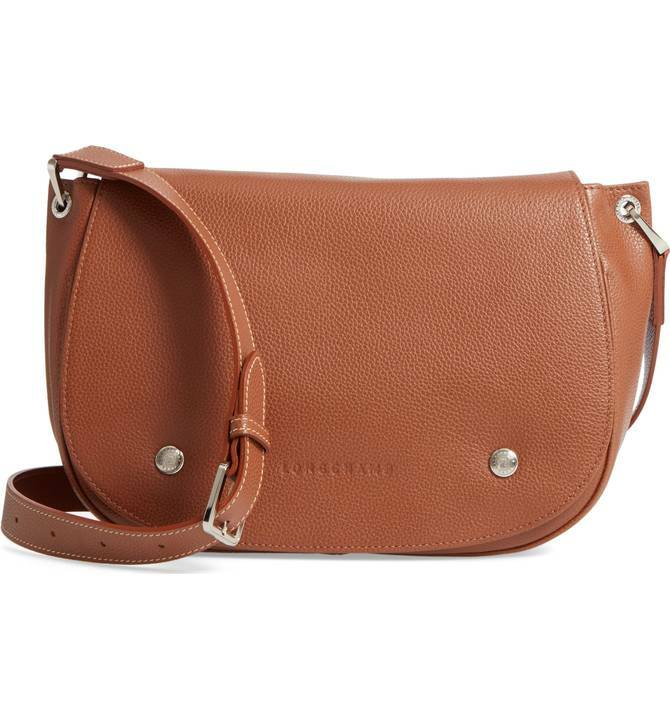 Before Coach stopped making their classic bags (moment of silence for their former leather goods), I bought a brown leather saddle bag, with turnlock. I have no idea why they stopped making them (remember the basic bag? there were so many good ones!! and they had a gorgeous navy….) but I am glad I snagged one back then. That LL Bean is super cute. Kinda liking the black/saddle as well. 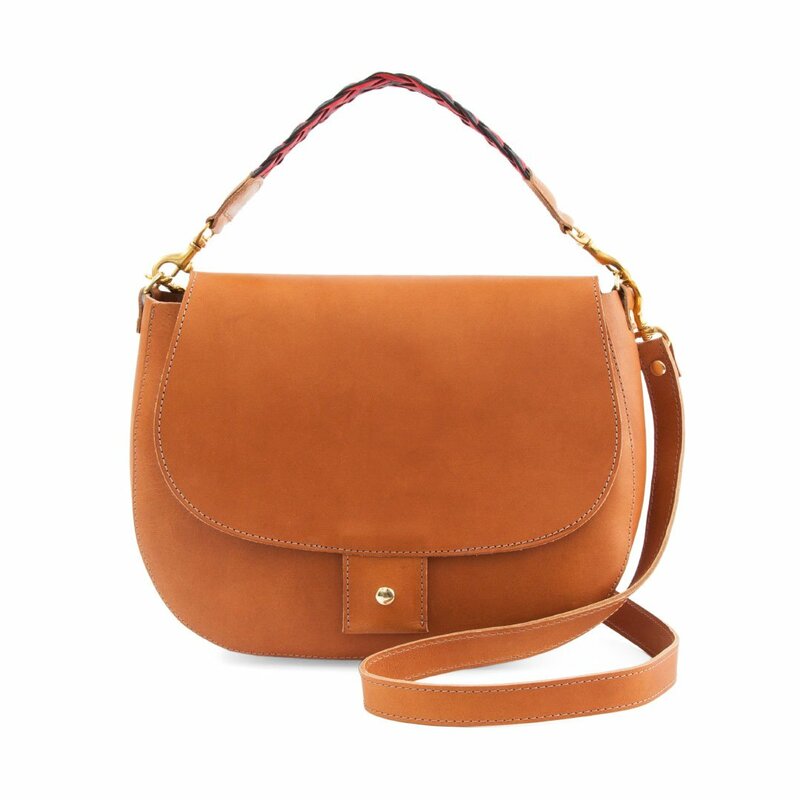 I adore a saddle bag for all the same reasons. 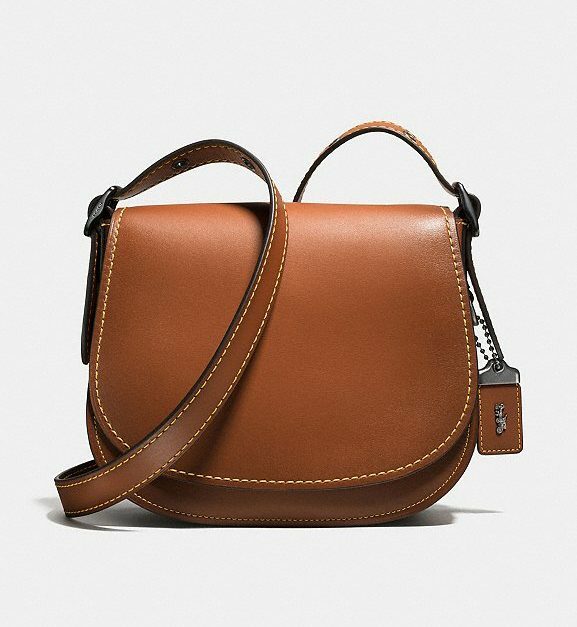 Before Coach stopped making their classic bags (moment of silence for their former leather goods), I bought a brown leather saddle bag, with turnlock. I have no idea why they stopped making them (remember the basic bag? there were so many good ones!! and they had a gorgeous navy....) but I am glad I snagged one back then. That LL Bean is super cute. Kinda liking the black/saddle as well. My two twenty something daughters carry my Coach station bags that I bought 35 years ago in college…one’s dark brown and one’s navy blue….they look just as good as they did the day I bought them. And they get compliments all the time! My two twenty something daughters carry my Coach station bags that I bought 35 years ago in college...one's dark brown and one's navy blue....they look just as good as they did the day I bought them. And they get compliments all the time! I had a traditional no frills bag when I was in high school and it had acquired the most awesome patina but I think it eventually fell apart. It reminds me a lot of that ll bean one. Hmmmm. I scored that very Coach bag at Nordstrom for 60% off a few weeks ago. 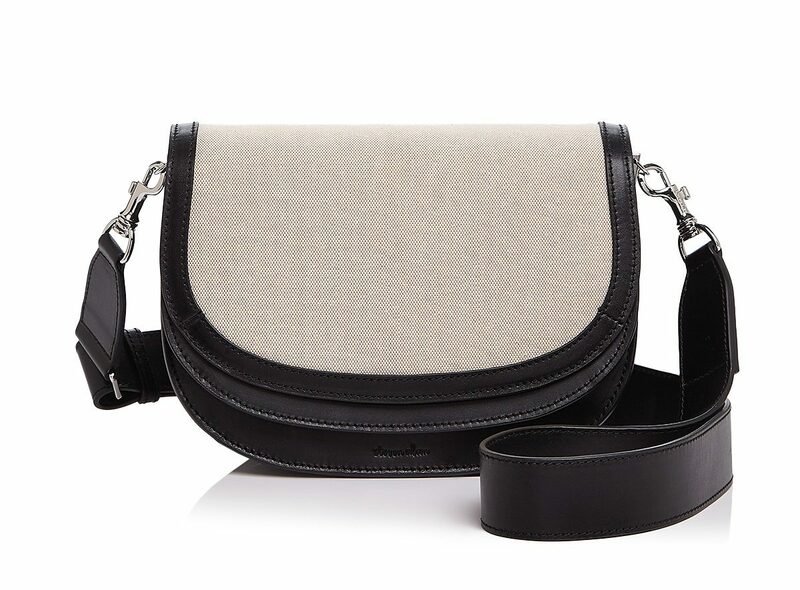 Love a good plain saddle bag! I am not usually a Coach girl but my friend sent me a photo of this Coach and Rodarte Courier bag and I fell in love. 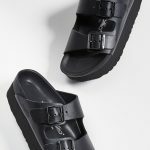 I wear it everyday – fits my large wallet, 2 pairs of glasses, keys and some other necessities. 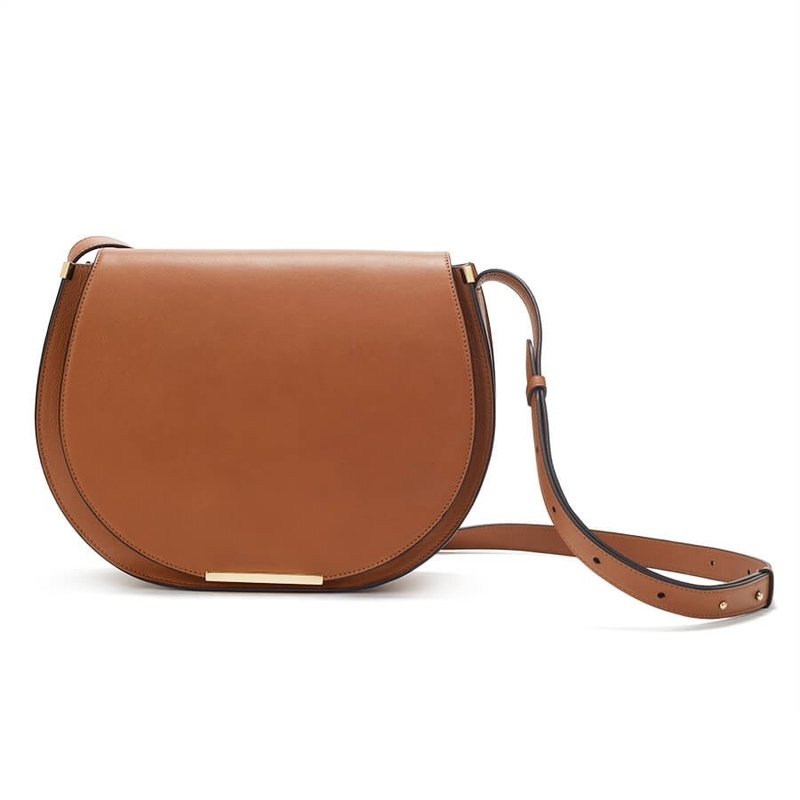 I am surprised out of all the saddle bags listed the Chloe Medium Marcie isn’t one of them. It’s expensive yes, but it is classic and roomy and just perfection. 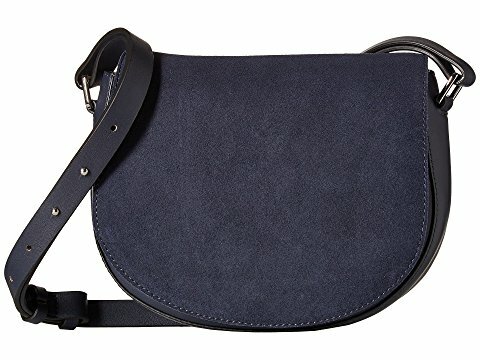 I am surprised out of all the saddle bags listed the Chloe Medium Marcie isn't one of them. It's expensive yes, but it is classic and roomy and just perfection. Exceeds the GOACA price limit, Kristen. Drooling over that APC one. I bought the LL Bean one in green and was quite disappointed by it — it’s not big enough to carry much more than a glasses case, a smart phone, a small wallet and perhaps a small pouch. Lovely bag, lovely craftsmanship, good value … not good for the life I lead right now in my 40s, which includes carrying around an iPad Air (for working as I sit in the bleachers at my daughter’s swim team practice), a refillable water bottle, sunblock and other sundries, plus wallet-keys-phone-sunglasses case. I bequeathed my niece my large Coach crescent saddle bag, but now I’m thinking of trawling eBay and Etsy for another one. Classic Coach is best Coach! I bought the LL Bean one in green and was quite disappointed by it -- it's not big enough to carry much more than a glasses case, a smart phone, a small wallet and perhaps a small pouch. Lovely bag, lovely craftsmanship, good value ... not good for the life I lead right now in my 40s, which includes carrying around an iPad Air (for working as I sit in the bleachers at my daughter's swim team practice), a refillable water bottle, sunblock and other sundries, plus wallet-keys-phone-sunglasses case. 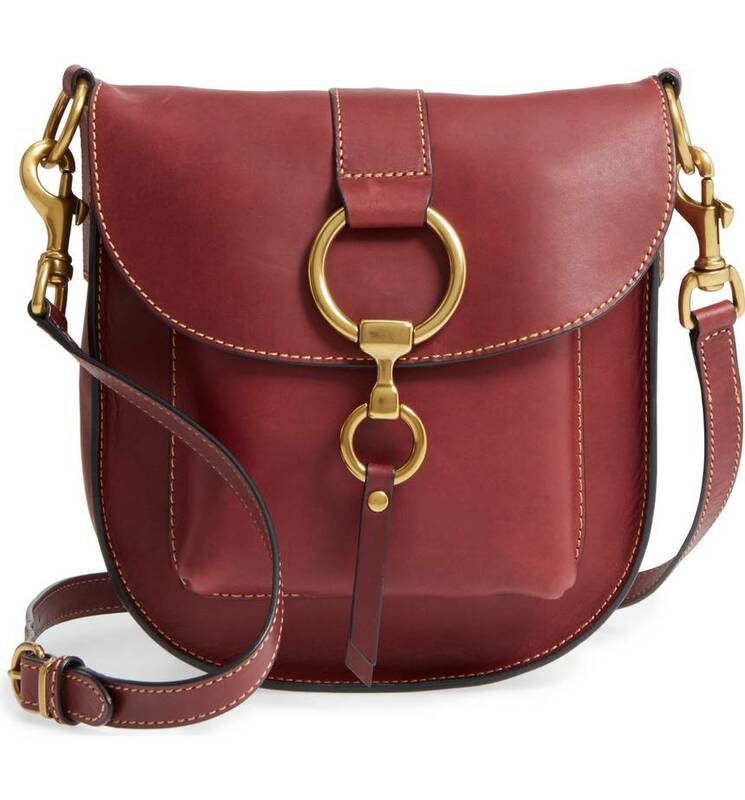 I bequeathed my niece my large Coach crescent saddle bag, but now I'm thinking of trawling eBay and Etsy for another one. Classic Coach is best Coach! Link for bag in the first photo, please! It actually seems like it might be large enough for every day use…. Link for bag in the first photo, please! It actually seems like it might be large enough for every day use.... Thx! That’s a street photo, Laura. I don’t know who makes that bag. Sorry. 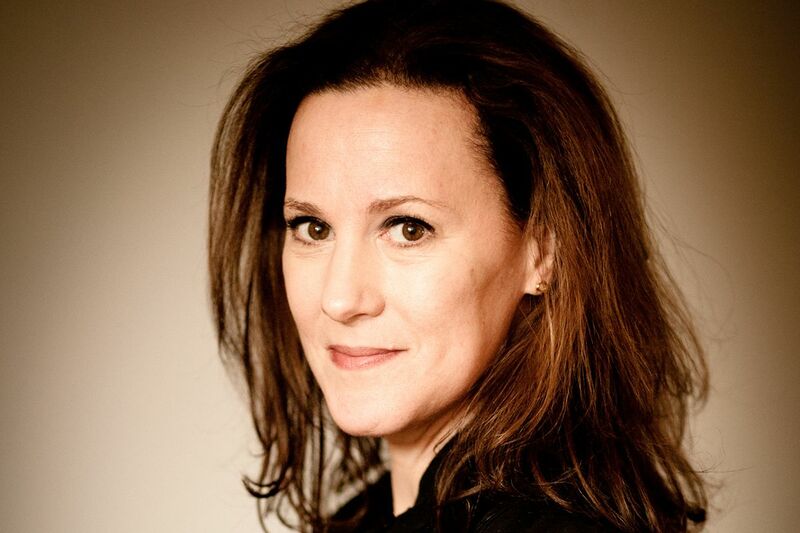 That's a street photo, Laura. I don't know who makes that bag. Sorry. I have a Goyatf coach bag I got in PAris a coupla years back (when the dollar was very strong agains the Euro). 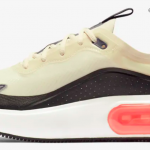 Black print, tan leather trim. Got it monogramed to give more style. I use it more than any other bag, more than totes, etc. It’s the best. The blue print bag is gorgeous. Looks Chloe-esque. I have a Goyatf coach bag I got in PAris a coupla years back (when the dollar was very strong agains the Euro). Black print, tan leather trim. Got it monogramed to give more style. I use it more than any other bag, more than totes, etc. It's the best. The blue print bag is gorgeous. Looks Chloe-esque. Ha! I have that exact picture in my fashion/style images folder 🙂 Love a good saddle bag. They really are perfect. Ha! I have that exact picture in my fashion/style images folder :) Love a good saddle bag. They really are perfect.